A couple of weeks ago, I got invited to be a guest on a Women’s Vitality Summit. When they asked what topic I’d like to talk about, I couldn’t decide between “Empowering children” and “Abundance mindset”, so I asked the host what she’d prefer to talk about. She said “Both!” as both topics were relevant to her audience. More on that another day but know that today’s article stemmed from those two topics when I was thinking about what I’d talk about. Today, I want to share with you what we all need, what we can do for ourselves and what we can do for our children. As someone that is very “heady”, meaning I work from the head a lot, there’s wounds in my heart that I didn’t realize were there. I’m a thinker not as much a feeler. Don’t get me wrong, through life experiences I’ve felt and FEEL a lot of depth and tapping into intuition is a big part of my life… I just tend to analyze it before and after. I’ve had my heart ripped open a few times through heart break and each time, it’s given me more depth in my feelings. I’ve had moments of intense stress where my heart was so constricted and I felt extreme self preservation and each time, I’ve learned to surrender and it’s allowed my heart to be open again. 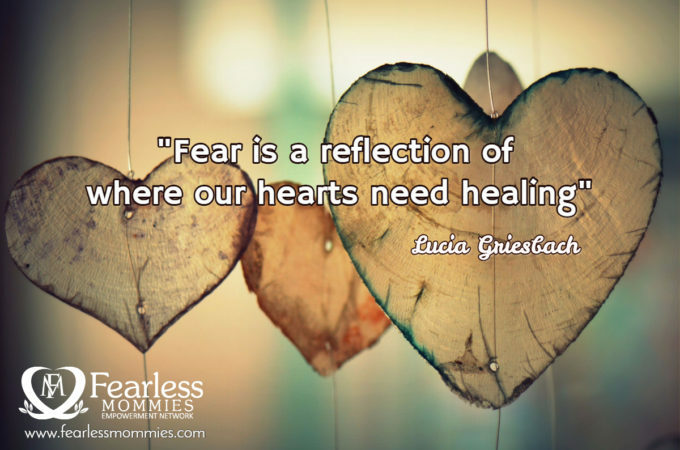 Our hearts need healing and we get it reflected to us every day. This is what I mean… every moment of your day is a reflection of fear or love. If you’re not sure which one you’re experiencing, please do book a coaching session with me. On one end of the spectrum, when you’re experiencing perfection in love, you’re in the zone and you are working towards the mastery of staying in flow (I’ll be writing more on this on another future blog)… you may feel a sense of peace, completion, fulfillment, freedom, expansion and creativity. There’s not enough words to capture it but what I do know is we’re not likely going to be perfectly in that “love” in our physical bodies but with mastery we can get darn close! On the other end, when you’re experiencing extreme fear in your life, you’re in a reactive state, you’re likely feeling constricted, stressed, angry, unheard, unseen and stuck. We all want to get back to that “love” state. For the reason that the word “love” has been deeply misunderstood and used in media in a very objective way… I’m going to use the word “flow” state because I believe that’s the state we are striving for. We all want to get back to “flow” which leads us back to experiencing a thread of perfection of LOVE in our physical bodies. I hope I’m not losing you. I’ll give you one sample of “fear” and “love” and a moment of healing in our hearts. My daughter S was deliberately acting out loud and causing a disturbance. I had the three kids and my dad in the van with me, I wanted to run in and grab a Valentines day card for my hubby. Instead of dragging all of them out, I asked my dad to watch them while I ran in quickly. She decided that this was the perfect time to push boundaries. As soon as I left, she started egging on her brother and sister… the more upset and loud they got, the more she would laugh. My poor dad had to sit there and listen to her scream and laugh at the top of her lungs inside a closed vehicle. I knew something was wrong when I got back into the van. After I dropped off my dad at his home and started our drive home… one by one the kids confessed what had happened. Yikes. That night, her and I had a talk before bedtime about her behavior. During our talk, she said “I guess I don’t deserve mommy to say goodnight to me” meaning she felt I wasn’t going to do our nightly routine where I sing to them, say prayers etc. Not going to lie, that was tempting because I was pretty mad at her but instead, this is what I told her “You ALWAYS deserve LOVE, there’s nothing you do or don’t do that that is not deserving of LOVE. However, sometimes mommy isn’t able to open up her heart enough to give you LOVE and that’s not about you”. Do you want to know where FEAR had it’s place in this scenario? Fear is what causes S to push the boundaries, she wants to know she’s loved regardless what she does. I have to prove it to her all the time, sometimes it’s exhausting but it’s so rewarding to see her flourish when she feels loved. I’m definitely not perfectly LOVING all the time, there’s lots of room for growth. Fear is what causes me to shut down and remove special moments like our bedtime routine in retribution of something naughty I perceived that she did. I fear she’ll go down a wrong path in life and be a social menace. I want her to be loved and have lots of happiness in her future. With fear, I judge her. Do you want to know where LOVE had it’s place in this scenario? Love is what S wants to strive for… perfect love and she’s programmed to expand me to that. Love is what causes me to see pass my judgments and human inadequacies. Love is why I open my heart long enough to hug her and do her nightly routine with her that particular night and THAT… was HEALING her heart and mine. Was any of that helpful? We all do it… it’s a dance we do every day between the light and the dark. In the next week or two, I’m going to talk about Living in FLOW and how to access that love in your heart anytime you want.